Dave’s teaching reflects the well rounded performer that he is. Be it jazz, big band, theatre, symphonic, studio recording or musical shows, he is one of the most highly respected “crossover” trumpet players in the world and enjoys passing on this knowledge to students of all ages. 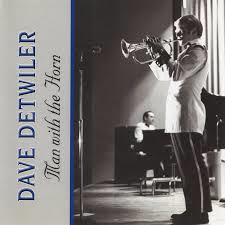 Dave retired in 2002 as adjunct professor of trumpet and Director of Georgetown University’s Georgetown Jazz but maintains a large studio in Northern Virginia. Many of Dave’s former students have continued on in music as professional trumpet players and music educators. His unique blend of knowledge, experience, humor and friendliness, along with his ability to convey the necessary information, make Dave Detwiler an exceptional teacher presenting a unique learning situation to his pupils. Taught private students between the ages of 10 and 60 for more than 25 hours a week. During this time I have also written one studies/jazz etudes book and a book of arranged Christmas books for trumpet players. colleges and universities throughout the U.S., Canada and Europe. He has taught music theory, advanced placement music theory, concert and jazz bands for four years at Centreville high School and one year at Westfield High School as a teacher in the Fairfax County school System in Northern Virginia. He also has instructed the James Madison High School jazz ensemble and worked with the Westfield, T. Jefferson and Oakton High School jazz bands. He taught as an associate professor on the staff at Georgetown University for 14 years where his duties were to teach jazz and direct the jazz ensemble, as well as teach private trumpet instruction. ALL LESSONS will last approximately 30 minutes. However, I do reserve the right to lengthen or shorten lessons according to preparation, or material to be covered. Please let me know if a student must leave on time, since I often keep them past the half hour. TO CANCEL any lesson, you must call my office at 703-869-8588 or email me at det3355@aol.com, the day before or you will be charged for that lesson. Calls to cancel must be before 8:00 P.M. the day before your scheduled lesson, and no later than 6:00 P.M. on Friday for students who have Saturday lessons. Status: SUMMER SCHEDULING….I TEACH THROUGHOUT THE SUMMER.IF YOU ARE GOING TO MISS ONE WEEK, I KEEP YOU IN THE SAME TIME SLOT.IF YOU PLAN ON BEING GONE FOR MORE THAN ONE WEEK, PLEASE LET ME KNOW WHEN YOU PLAN TO RETURN AND CALL ME FOR A NEW TIME.HAVE A GREAT SUMMER!! NO MATTER WHAT THE SCHOOL, HOLIDAY OR INCLEMENT WEATHER SCHEDULE happens to be for any given day, I will conduct regularly scheduled lessons. If I cancel, or change a lesson time, it will be clearly marked in the student’s notebook the week before, or you will be notified by telephone. Also, please check the website www.preludemusic.net at least once a week for updated lesson information and trumpet news and events pertinent to your lessons. THE CHARGE PER LESSON is $35.00. You may pay me at the beginning of the month for the month’s lessons, or pay me each week. Any lesson payment that is more than two weeks late, will be assessed a $5.00 per lesson late fee. CONTACT INFORMATION- If you do not have an answering service, please be sure I have a work number to get in touch with you. If you have any questions, or simply want to discuss your student’s progress, please call at any time, or feel free to sit in on a lesson. The above policy is given to each new student when we begin trumpet lessons. I have many good reasons for this policy. The most significant of these being that my rate of cancellations was reduced once implemented, thereby assuring that students attended more lessons which improved their playing! When I do receive a cancellation, it gives me the opportunity to teach one of several students who study with me on a stand-by basis. Thank you for your patronage and I look forward to many years of making great music with you!! CULPEPER studio. 15373 Detwiler Lane, Culpeper, Virginia 22701. From intersection of Route 28 and Route 66. Take Route 66 west for 9.9 miles. Merge onto 29 South (exit 43A) towards Gainesville/Warrenton. Go 32.9 miles. Take the 29 /15 business exit (first Culpeper exit) After several miles take the round about onto Jameson Blvd. At second round about continue on Jameson Blvd and follow to Rt 522 where you will go north on 522. Go approx 2 miles. Turn left onto Gibson Mill (route 641) .8 mile, then right onto Signal Hill road. After .29 mile, Signal Hill road becomes Dodson Woods Lane, At this point the road is unpaved. After the second house on the right you will see the street sign, Detwiler Lane. Turn right and follow the gravel driveway. At bottom of hill bear right to 15373 Detwiler Lane. Studio is at the top of the hill on the right hand side. Be sure that you warm up before every playing session! *When playing, remember that no one should try to “Win the battle” by herself (himself). Use caution and thought as to how much pressure you use when playing and take rests. Do not try to play too high, or too loud…I.e… know what your limits are and build yourself up. Try to wash your chops with soap and water on breaks and when you finish a session. At lease rinse off when you can. I’ve found that keeping a clean towel, and cleaning my mouthpiece and chops with Wintergreen Isopropyl Alcohol after every session keeps infections away and makes tired chops feel invigorated. 16OZ. Bottles are sold at CVS. The alcohol can dry out chops, so liquid Vitamin E, or Vaseline Lip Therapy, applied after you are done playing can help keep them supple. Ice your chops! Yes, if you put crushed ice (or cubes) in a washcloth (not too thick), and hold it on chops for 18 to 20 minutes when you get home, or before bed, it will help prevent or keep soreness away. What works even better is to dip your ice cloth into a bowl of solution of Domeburoughs granules and water…dip about every 3 minutes while icing your chops. Domeburoughs is also available at CVS. CAUTION! Do not ice for more than 20 minutes! Do not play after icing for at least 2 hours! Allow your chips to warm up on their own. Internal – Rinse your mouth out regularly with a light, saltwater solution. If you get swelling and it is bad, lay off for a day and ice chops on the outside. External– If infected, scrub with soap or alcohol, then put an antibiotic cream on it…obviously, see your doctor if you have any concerns about the affected area. If you just have a cut, keep it clean and once or twice a day, put some liquid vitamin E on the cut…this helps scabs go away faster also, If you need help and this hasn’t answered your questions, come see me. Other great lip care products are Aquaphor-non prescription, Cortibalm (need to order this) and Desonide ointment-prescription needed. CALL ME IF YOU HAVE ANY QUESTIONS OR PROBLEMS I AM HERE TO HELP! I have been advised on all the above by medical doctors.